Bring the workout to you by setting up a mini gym within your home. NordicTrack believes the key to achieving and maintaining peak physical fitness is to entwine exercise into your daily routine. Why Mix Cardio With Weight Training? Cardio melts the fat away and reveals the muscles you’ve worked so hard in the gym for, but there’s no need to live in the gym to get those results. Cardio can easily be done from home everyday if you invest in a treadmill. Running on a treadmill is the most efficient form of cardio, and you can set the length and difficulty of your run to suit your mood or fitness goals. No route planning, no special gear for the outdoors and no excuses! It’s never too cold, too wet or too late to jump on the treadmill when it’s in your home. Excuses are the biggest factor preventing people from achieving their fitness goals. Removing those invisible barriers makes the process of squeezing in those crucial 3-5 cardio workouts per week a breeze. Take the incline up a notch and hit your optimal fat burning heart rate. As a general rule you can determine your optimal fat-burning range, by calculating 60% to 70% of your max heart rate (max heart rate = 220 - your age). Remove all distractions which could disrupt your treadmill workout, for example put the dog in another room or put your phone in airplane mode. Create the perfect high tempo workout playlist and have it playing from the speakers to motivate you. 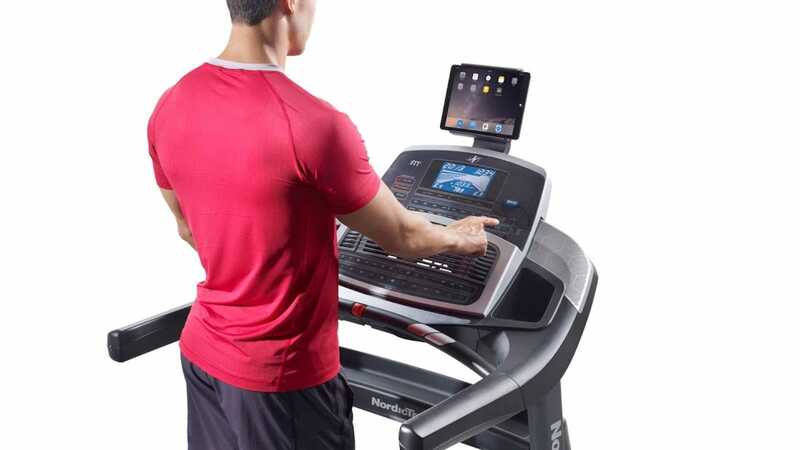 Find the optimum balance between cardio and weight training with a NordicTrack treadmill for at home cardio, paired with your usual gym routine. Create the perfect storm to sculpt the body of your dreams from your home.